When it comes to energy efficiency, even small improvements can go a long way. 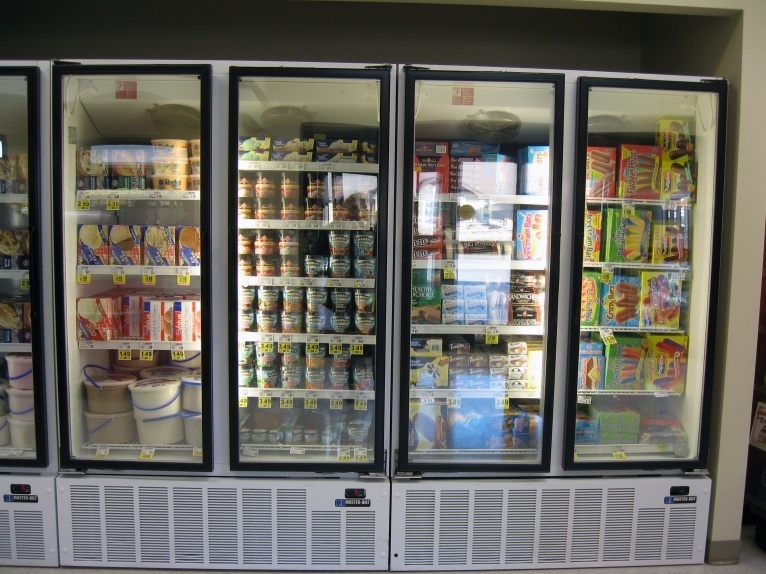 Following through on President Barack Obama's Climate Action Plan, the Department of Energy (DOE) on Feb. 28 issued new energy efficiency standards for commercial refrigeration equipment. Over the ensuing 30 years, it's projected that the new standards will reduce carbon pollution by 142 million tons – the equivalent of that produced by generating electricity for 14.3 million U.S. homes – while also saving businesses as much as $11.7 billion on energy bills. An update of standards set in 2009, the new energy efficiency standards will yield on the order of a 30 percent improvement in the energy efficiency of commercial refrigeration equipment as compared to current standards, according to the DOE. As we know and is being better understood and increasingly well documented, generating all that electricity produces lots of pollution – carbon and greenhouse gas emissions that are warming global climate, as well as emissions of a range of chemicals that deplete the ozone layer and contaminate our land and water resources. Given the number of commercial refrigeration units in operation and their being in constant use, even small improvements in energy efficiency can result in large reductions in power consumption, and hence emissions not only of carbon and greenhouse gases, but of chloroflurocarbons (CFCs), hydrochlorofluorocarbons (HCFCs), freons and halons used in commercial refrigeration, solvents, propellants and foam-blowing agents. Emissions of this latter group of gases has been responsible for depletion of the earth's ozone layer and are in the process of being phased out of use worldwide as per the terms of the UN's Montreal Protocol on Substances that Deplete the Ozone Layer. They also contribute to global warming, an issue that the U.S., along with the European Union (EU) and other countries, are currently seeking to address by phasing out use of hydroflurocarbons (HFCs). Engaging consumer and environmental advocacy groups as well as industry participants and other stakeholders, in a lengthy and comprehensive standards-setting process, the new commercial refrigerant standards will go into effect in late February or early March 2017, three years after their publication in the Federal Register. They're only the latest in a series of energy-efficiency actions the DOE has been taking in accordance with President Obama's Climate Action Plan. In President Obama's first term, the DOE established new minimum energy efficiency standards for dishwashers, refrigerators and many other types of consumer and household equipment. Through 2030, these are expected to yield hundreds of billions of dollars in consumer savings by reducing their energy bills, as well as save enough electricity to power over 85 million homes for two years. Announcing his historic Climate Action Plan last June, the President established new energy efficiency standards for appliances and for federal buildings that are expected to reduce carbon pollution by a minimum 3 billion tons by 2030. That's the equivalent to nearly half the carbon pollution produced by the U.S. energy sector in its entirety over one year. Aiming to achieve these goals, the DOE last August proposed the rule establishing new commercial refrigerant energy efficiency standards. It also proposed a rule to improve the energy efficiency of walk-in coolers and freezers, such as the milk displays at supermarkets.